New "translate.directory" & "directory.design" are for sale. Domain "directory.design" is for sale (no website). 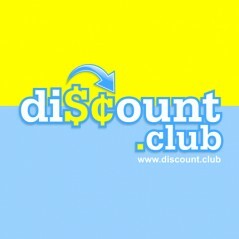 Premium Domainers register their domain names on Startup.club. Extract: "The traditional .com domain space is super saturated, leaving little opportunity for new businesses to get the domain name of their choice without paying exorbitant fees". Extract: "Last month, 域名圈 organized a live domain name auction in Beijing that attracted 200-300 people. 域名圈 loosely translates to Domain Name Circle or Domainer’s Circle. (域名 is domain name and 圈 is circle or ring.) The group is led by 王培陛 (WANG Peibi)". See WHOIS contact for details. Extract: "Thousands of existing golf clubs, country clubs, tennis clubs, fitness clubs, social clubs, nightclubs, Rotary, Kiwanis and other clubs and communities have adopted the use of a .CLUB domain name for their online address. In addition, many high profile celebrities have also joined the .CLUB, including legendary rapper, actor and entrepreneur 50 Cent (50InDa.Club); singer Demi Lovato (Lovato.club); Indian cricket star Virat Kohli (ViratKohli.club); Miami Heat player Tyler Johnson (RealTJohnson.club) and others, all good examples of the value of a .CLUB domain name for any type of community or fan club. Entrepreneurs and startups have also been active with .CLUB names, including music site TheDrop.club, which was launched by serial entrepreneur Justin Kan (Justin.tv, Twitch.tv); subscription and membership business such as Coffee.club, Shaving.club, Soap.club and many more. Premium .CLUB domains have out-sold all other new domains as well. Wine.club sold at auction for $140,000, Coffee.Club sold for $100,000, Vegas.club sold for $100,000 along with others, totaling more than $1 million to date in premium name sales". Press Release: www.gtld.club. Domainers can register their .club domain names with Uniregistry. Extract: "I bought 180 domains of the 565 domains in the EAP. Most domains were bought in the EAP day 5 although I bought 4-5 domains in earlier and more expensive days 3 and 4. The day 5 domains had an extra cost of about $150 depending on the registrar. That is on top of the registration price. So the total cost of the EAP acquisitions (excluding registration fees) was about $30,000. Almost 99% of that went to Donuts". Use "HappyHour" coupon for a FREE .PARTY domain name now! Extract: "On the 6th May 2015 we will be offering 1 year .PARTY domains FREE OF CHARGE". Extract: "He said he hopes to help candidates he supports or keep domains out of the hands of those he doesn’t like, but he’s not looking to make money on the deal".